One of the top challenges leaders face is figuring out how to manage their team’s needs and challenges in real time without compromising fulfillment of their own responsibilities. The 15-Minute Solutions-Based approach is a game-changer for leaders and their teams. 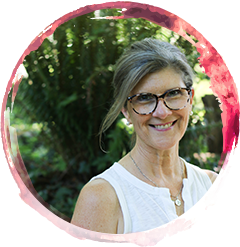 Christine is a human-potential champion who believes stress is optional and when understood, can be utilized to source the next brilliant opportunity in all life areas. Others describe her as a master motivator and influencer to tap into solutions for the next best version of yourself. She trains individuals and organizations to source solutions by shifting their focus from what they don’t want, don’t want to feel to inspired-action for what they do want, do want to feel. Her approach utilizes proven success principles and simple systems for mindful commitments, conversations, choices. Highlights contributing to her acumen include: World-class event production (80,000+ attendees); national revenue-generating campaigns; secured million’s in sponsorship/sales (Fortune 500 Co’s. ); creator, national multi-city human-potential series (300+ experts in Indigo bookstores); Author, Heartbroke, A Journey from near Death to Possibilities; International podcast host. Both registration and payment are required for every person attending this webinar. Questions about registration or receipt can be directed to cphrnl@cphrnl.ca. Note: If you have not received your login access information the day prior to the webinar date, or for inquiries regarding online workshops, please email. All pricing excludes applicable taxes. CPHRNL offers events through the year giving HR professions the opportunity to stay on top of current topics, offers CPHRs the opportunity to earn continuing professional development hours, and everyone the opportunity to network with other HR professionals. Through the calendar you can find out what events are being hosted by CPHRNL. The calendar of events will list all CPHRNL events and events that the Association has partnered with other organizations. All events require online registration and payment prior to the event. Please click on the event name for further details.